A beautiful face always attracts people. Although I couldn't choose the face I was born with, cosmetics products can help me improve it easily. Cosmetics products give me a beautiful face almost like magic. Etude House, a Korean cosmetics shop, has a branch store near Feng Chia University. Its variety of cosmetics products and friendly service are popular with many female customers. I remember the first time I walked by Etude House. I was attracted by its appearance. With its big, clean windows and walls painted in white and pink, this shop looked like an elegant castle. There were also posters of famous K-pop stars on the walls outside the shop. To satisfy my curiosity, I went inside to have a look. The shop was decorated with bright lights, potted plants, curtains, dressing tables, and mirrors. The whole store was warm and comfortable. I thought I was a princess in my fantastic bedroom, getting ready to put on my make up before the ball. 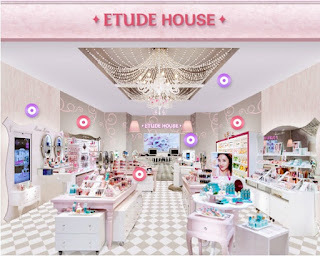 At Etude House, the products are organized according to their use, so you can find what you need easily. All Etude House's products are made in Korea and have passed cosmetics safety tests, so you can feel safe using them. The packaging of Etude House products is very elegant and beautiful. It's hard to decide which one to look at first! The prices are a little high for students, but sometimes Etude House will have sales. During sales the products are cheaper than usual. My favorite Etude House product is Aloe tea creaming foam. It's made from aloe. After I use it, my skin feels clean and not dry. Also, the fragrance of the cream can help me relax. Best of all, this creaming foam is not expensive; it costs only NT$ 150, and its bottle is bigger than other brands. The service Etude House provides is the main reason why I enjoyed shopping there. There is a sample for each product, so I can test it before buying. The clerks introduce goods carefully to make sure every customer understands how to find the cosmetics just right for their skin, and then how to use them. The clerks are very friendly. They won’t make you feel embarrassed even if you don’t buy anything. 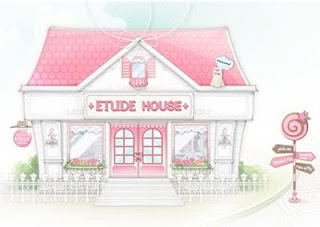 I enjoy every moment shopping in Etude House or sharing their products with my friends. The colorful decorations, variety of products, and friendly service change every girl into a beautiful princess. Go together with friends and give Etude House cosmetics a try. You’ll find that being a princess is not a dream anymore!